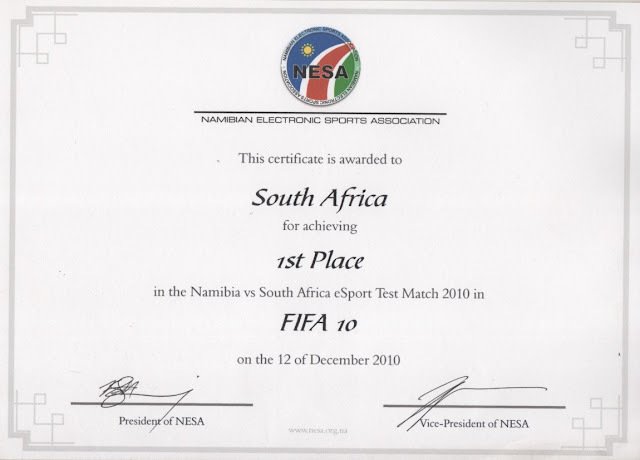 Esports, and other games : FIFA '17 test match planned with Namibia. Back in December 2010, Mind Sports South Africa (MSSA) sent its Protea Esports Team to do battle against Namibia (NeSA). IeSF's 2nd World Esports Championships that were held in Daegu, South Korea. 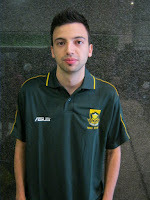 Both Rolando and Abubakar represented South Africa well, and continued to do so in Namibia. Thus, Namibia (NeSA) has once again laid down the gauntlet and challenged South Africa to an online test match. While the finer details are yet to be determined, MSSA is more than willing to defend South Africa's honour. Stay 'tuned' for more details.